In Sort stage, we sorts the records based on key column ‘sno’ and enable the option ‘Create Key Change Column’ as ‘True’. 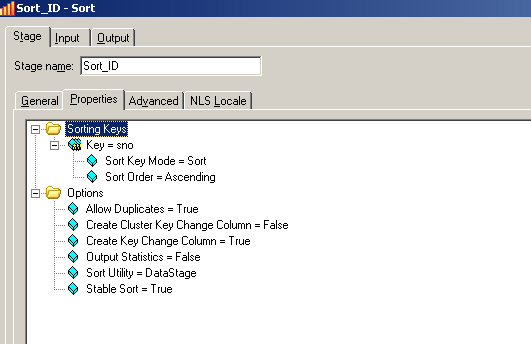 After enabling this option, one column with the name ‘KeyChange’ will be created in output. For the first occurrence of a particular value, it assigns 1 and for subsequent occurances of the same value it assigns 0. Now you can use a filter stage with condition like KeyChange=0 or KeyChange < 1 to capture duplicate records.